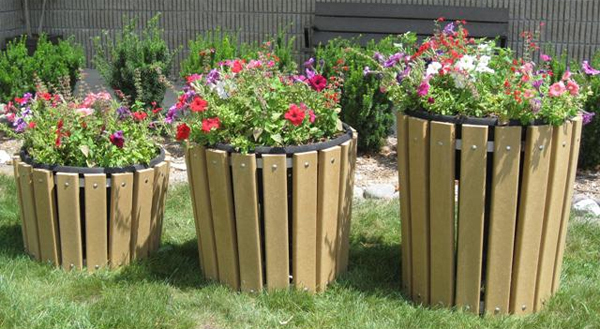 Recycled plastic planters are the perfect outdoor accessory for schools, corporate grounds, parks, golf courses, walking trails, bike trails, nature trails, water parks, and commercial applications. Their solid construction is made to withstand hard use and provides a high quality, cost-effective alternative to wood or concrete. Absolutely insect proof, rot and decay proof, and built to last a lifetime! Choose from rectangle, square, or round - large, medium, or small.